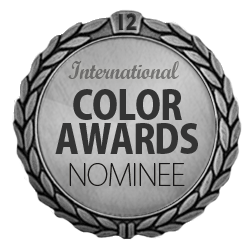 Deux de mes images se sont retrouvées cette année parmi les finalistes de la 12e édition du “International Color Awards”. Ce concours international de photographie est jugé par les plus grands de l’industrie de partout à travers le monde. Les résultats ont été diffusés le 9 mars 2019 lors de la cérémonie officielle sur le web. Ma photo, “Jiufen” a reçu une nomination dans la catégorie “Professional – Fine Art” et ma photo “Cape May” a reçu une nomination dans la catégorie ” Professional – Americana”. J’ai aussi reçu une belle visibilité puisque mes photographies ont aussi été diffusées sur le compte Instagram de Lozeau et sur la page LinkedIn de mon employeur, la commission scolaire Marguerite-Bourgeoys. LOS ANGELES, March 10th, 2019 – Professional photographer Véronique Gohier of Canada was presented with the 12th Annual International Color Awards Nominee title in the categories of “Professional – Fine Art” and “Professional – Americana” at a prestigious Nomination & Winners Photoshow streamed Saturday, March 9, 2019. The live online gala was attended by 11,829 photography fans around the globe who logged on to watch the climax of the industry’s most important event for color photography. 12th Annual Jury members included captains of the industry from Sotheby’s, New York; Benetton, Ponzano Veneto; The Art Channel, London; Kolle Rebbe, Hamburg; Droga5, New York; Preus Museum, Norway; Art Beatus, Hong Kong; Forsman & Bodenfors, Gothenburg; Wieden & Kennedy, Portland; Fox Broadcasting Network, Los Angeles; Gallery Kong, Seoul; and Phillips, New York who honored Color Masters with 761 title awards and 1,032 nominees in 37 categories.